We have a little saying around the HalloweenCostumes.com office. WWWD for short, it's kind of a mantra for life, but it's also a problem solving solution for all of life's difficult situations. Simply put, when a question is posed to you and you don't have an immediate answer, just ask yourself—what would Wicket do? Sure, 9 times out of 10 the answer is to build a swinging log trap, but AT-ST attacks aside, we think the famed Ewok from Star Wars really had his stuff together. He just had a zen approach to life... and that can really translate to daily lessons for success right here on earth. 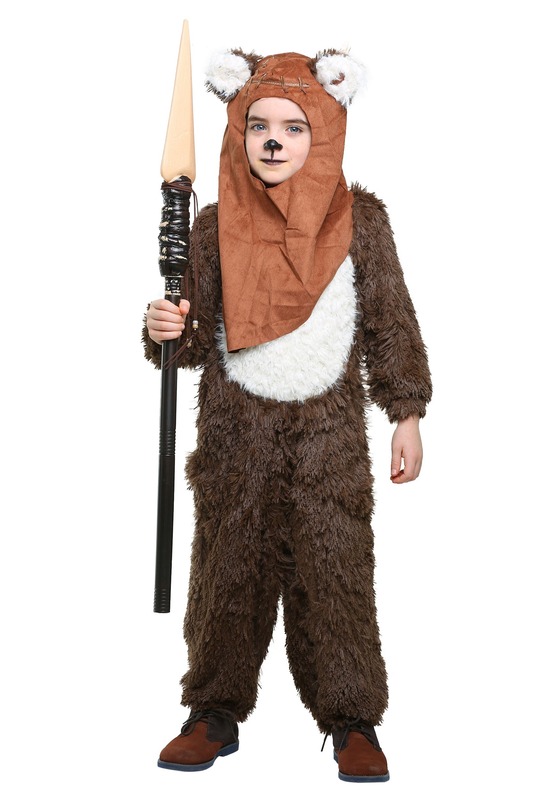 Just think about what a sweet lifestyle he had—hanging out in his Ewok Tree Village chilling with his family and friends, all the livelong day. We're totally sure things were pretty boss on the Forest Moon of Endor before the Empire showed up and made a mess of everything. 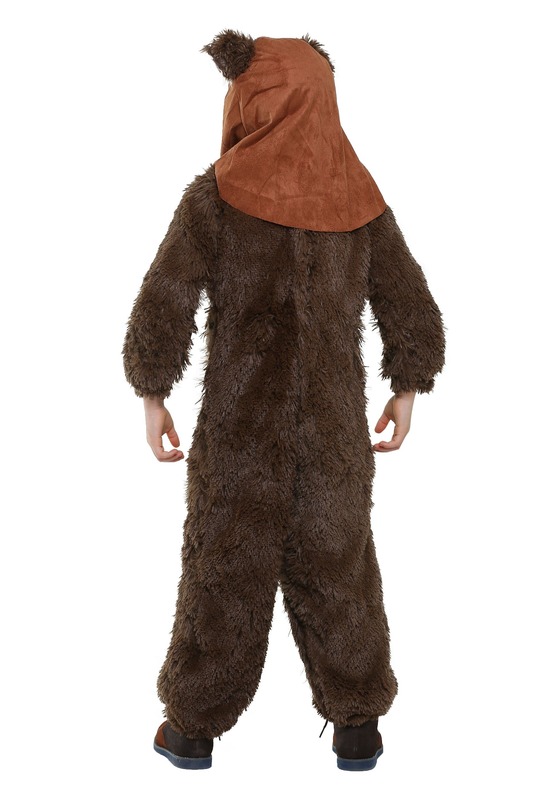 So, if you're searching for the perfect Star Wars costume for your little one, just think about what Wicket would do. 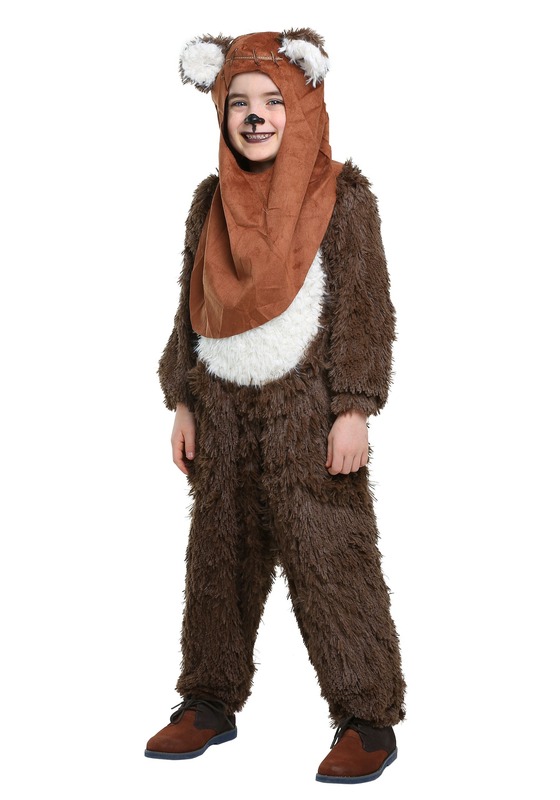 Obviously, he'd want you to choose this deluxe Ewok costume styled after his signature look! It's officially licensed, and made of soft polyester faux fur. It's easy to put on and take off, and secures with a Velcro closure in the back. 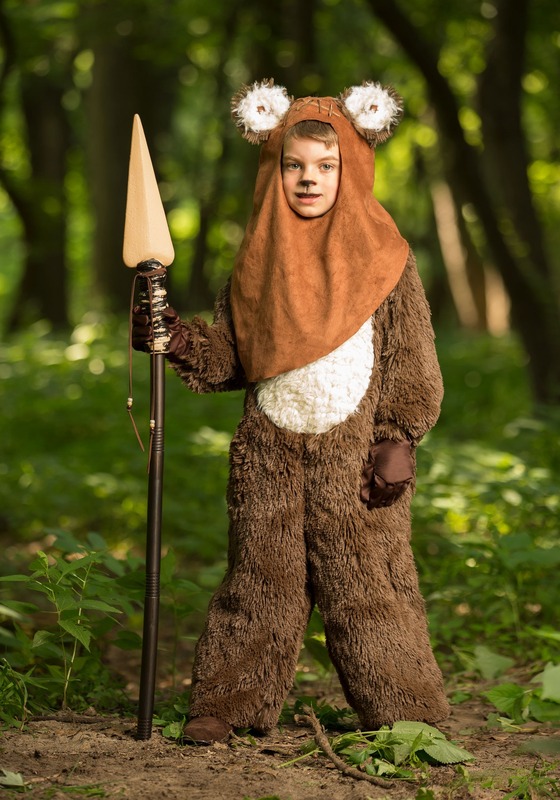 Simply put the faux suede hood on to complete the Endor look, and your little guy or gal will instantly feel like they've been transported to a galaxy far, far away. And we're sure that's exactly what Wicket W. Warrick would want you to do! 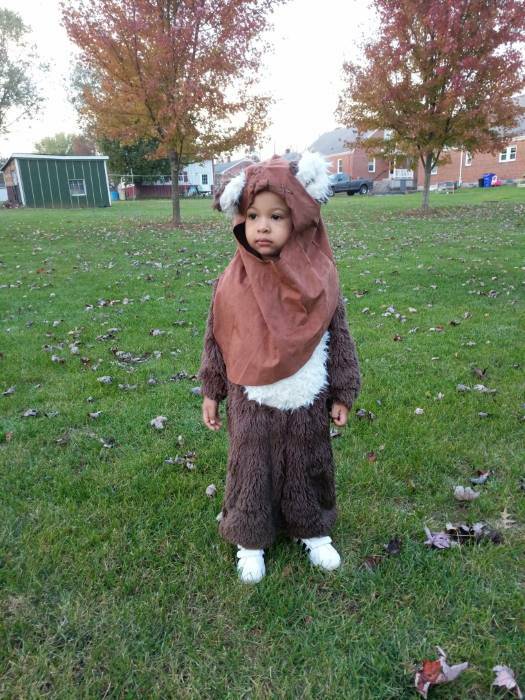 My son is 2 and a half and the costume was a decent fit. The hood was just a little roomy, and would slide off sometimes, but it was not a big deal. This costume is also great during a cold Halloween.